Logitech has acquired Saitek from Mad Catz. Saitek has been owned by Mad Catz since 2007 when it bought the PC peripherals maker for $30 million. Sadly for Mad Catz it hasn't turned a profit on the deal, as it let the brand go for a mere $13 million. However, it has kept the "mice, keyboards and other products that were originally developed on the back of our acquisition of Saitek in 2007 and are now sold under the Mad Catz brand," according to a statement to investors. 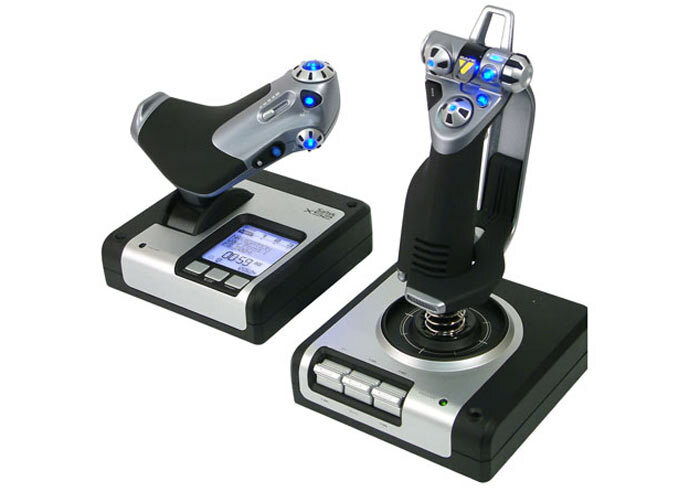 As veteran gamers will know, Saitek specialises in input peripherals for simulations. 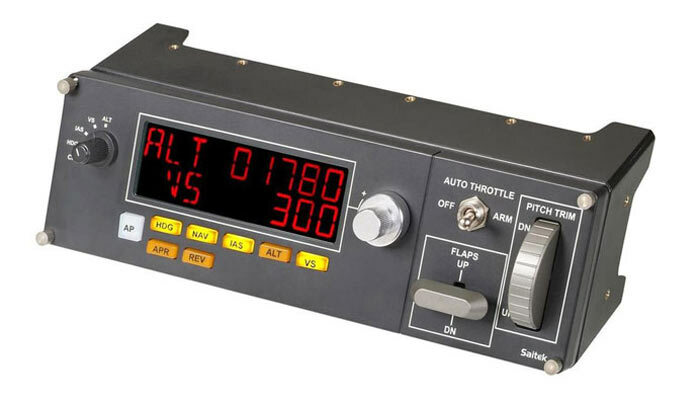 The company was founded in 1979, starting as a producer of electronic chess games before branching out into PC peripherals, quickly becoming well known for its flight sim controller peripherals. 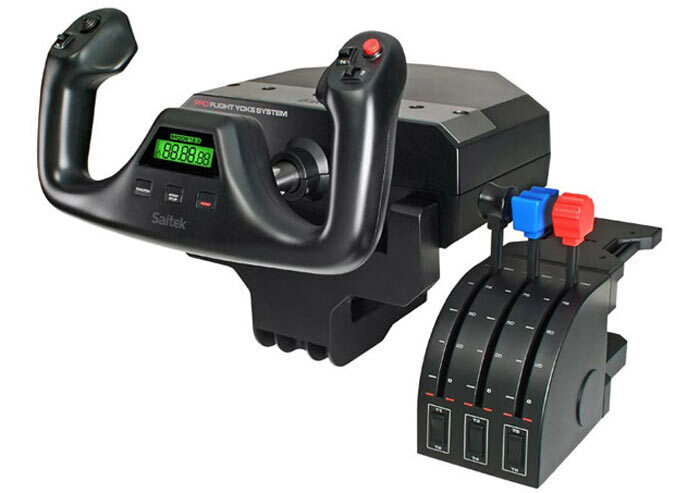 The most recent Saitek product in HEXUS news was its dedicated Farming Simulator 15 controller setup costing $300. Logitech G says it is excited to have acquired the Saitek brand and the associated range of flight, farm and space simulation game controllers. Saitek produces the "go-to products" for games such as Elite Dangerous, Eve Valkyrie, Star Citizen, Microsoft Flight Simulator and Farm Simulator, crows Logitech. Of course Logitech G has a plan, and sees an opportunity for growth with the Saitek brand. It says that "simulation games are cool and getting cooler," and certainly with the advent of VR such input peripherals can only add to the realism that people are seeking in gaming and similar experiences. Logitech G already makes gaming wheels for driving sims but now it has a 'vision' to take such products further and faster. It will be integrating Saitek products into the Logitech G portfolio over the coming months. Eight of the Saitek’s research and development employees have accepted employment offers with Logitech. Cheesy as it may sound, I find I really get on with Logitech stuff. I've spent quite a bit of my hard-earned messing about with other manufacturers' stuff, before giving Logi a token tryout and ended up falling in love. APEM/CH Products have chosen not to enter the arena with new kit, since the appropriate market bands are already covered between Saitek and Thrustmaster… but since Saitek are dropping the ball so much, I'm glad Logi have stepped up. I'm hoping for something like the G940, but better!! They may have looked nice, but they were nothing more than rehashes of existing MadCatz products, all of which I've tried and found to be flimsy junk… especially that S.T.R.I.K.E™ keyboard thing! !